Song of an Japanese Burrowing Cricket (scroll down for explanation and additional recordings!). Japanese Burrowing Crickets were introduced into the Washington D.C. area in 1959. From there they apparently spread to the west and south and are now found throughout the Southeast. They apparently were hitching a ride from nurseries as eggs in the root balls of ornamental plants. There is also evidence that some populations have developed the ability to fly. These are called macropterous individuals as they have longer than normal flight wings making them able to fly more easily and for further distances than the typical form. There is no firm evidence that this new species is displacing or harming our native field and burrowing crickets. However, in areas of high population densities of Japanese Burrowing Crickets, there seems to be a lack of Fall Field Crickets (pers. obs.). 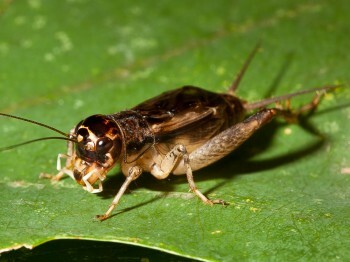 Once introduced, these crickets spread rapidly to the south and are now extending their range to the west. They are often found along roadsides and in lawns with ornamental plantings. New research on the western edge of the known range of this species has added many new sites where it has been encountered. This map includes the currently know range for this species as of late 2018. 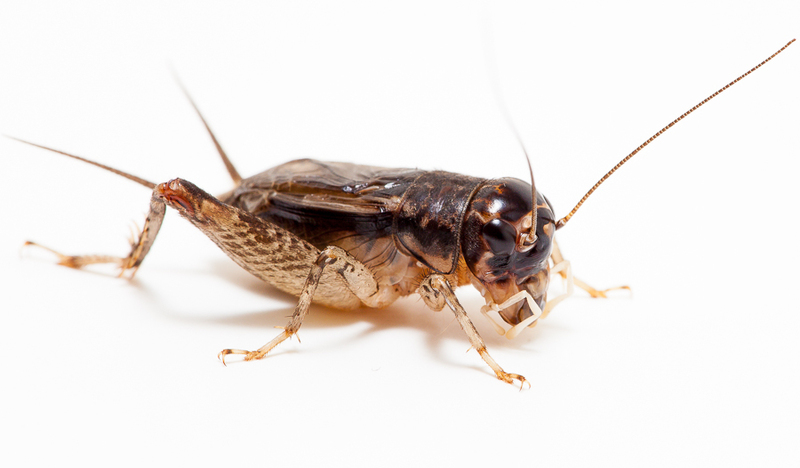 Song: Japanese Burrowing Crickets chirp rapidly. Their songs are distinctive, composed of a rapid series of chirps sounding more mellow, lower-pitched, and delivered at a rate that is at least twice as fast as that of the Spring or Fall Field Crickets, with which they are most often confused. These rapid series of chirps can go for 6, 8, to 12 repetitions or can go on more-or-less continuously for minutes on end. Sonogram of an Japanese Burrowing Cricket. © Wil Hershberger.